The ‘Re-Designing Mental Health Care’ has won the 2017 Far West LHD Health Innovation Award – Phoenix (Large Project) Category. 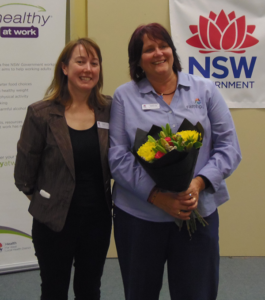 The project was presented by Vanessa Smith, Manager Broken Hill Community Mental Health Drug and Alcohol. This project was initiated with the aims of improving clinical governance, building the skills of junior clinicians, improving consistency in the discharge process, reducing the amount of people who do not attend appointments and reducing the amount of time clinicians are engaged in meetings. The Ninja (Small Project) Category was won by ‘Patient Hourly Rounding’. 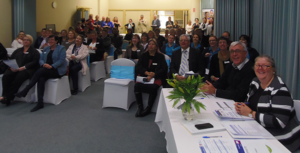 This program aimed to improve staff culture and patient experience. This was presented via video by Aravind Krishnamurthy, Yamirri Nharatji Coach for the LHD. This project was initiated to improve detection of the deteriorating patient, improve patient satisfaction, reduce rates of inpatient falls, pressure injuries and call bells by implementing patient hourly rounding. The ‘Re-Designing Mental Health Care’ project also won the Agency for Clinical Innovation Award. Finalist ‘ACOLADES – A Coordinated Local Approach to Disordered Eating Services’ was also awarded an ACI runner-ups Certificate. The goal of this project was to improve the diagnosis of eating disorders in the local community, improve access to services and improve awareness of and enhance the resources available, including school based resources for teachers. The People’s Choice was awarded to ‘Govies’ Retreat: Building resilience for rural home tutors”, presented by Marie Kelly, Rural Adversity Mental Health Program Coordinator for FWLHD. The aim of this project was to provide governesses employed in remote areas of the Far West, with the information they need to live successfully in the bush, including how to manage their own mental wellbeing and assist them to remain in their important roles. 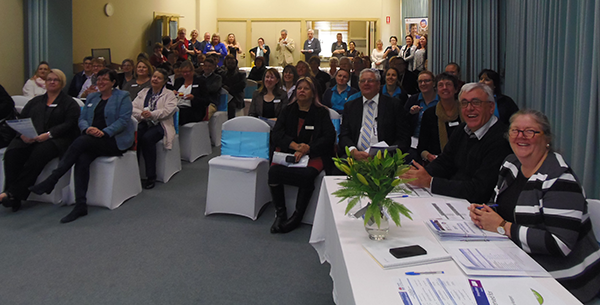 “All of the nominees into this year’s awards have shown a commitment to improving the way services are delivered, which continues to make things better for our consumers and staff”, said Ms Zandra Corey, Director Clinical Governance, Far West LHD. “This was the first year we provided an opportunity to nominate smaller improvement projects into the awards and these projects show how our staff continue to improve services as part of their day to day work. This not only makes services better and safer for our consumers, but it also means that these changes are happening in real time in response to issues affecting services and consumers now”. 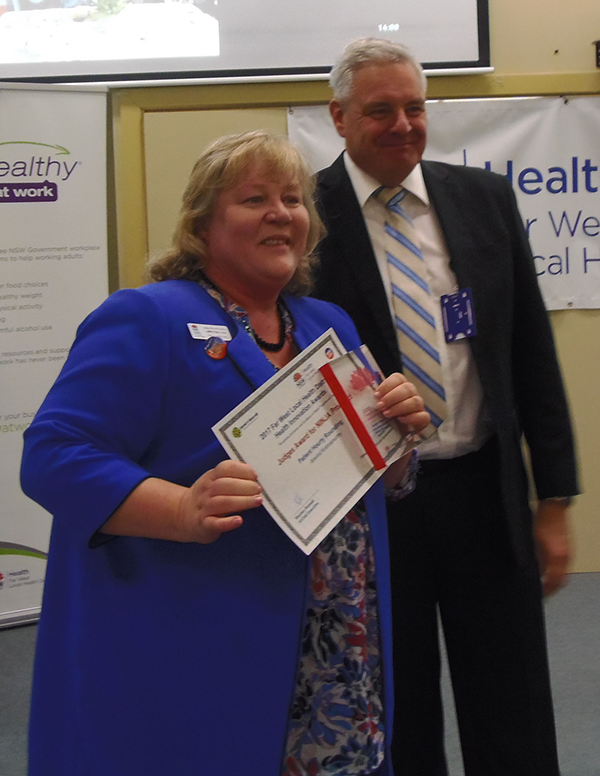 “The Health Awards is our way of saying thank you to our staff for working hard to make things better, and to our consumers for working with us when we are trying to improve services,” said Ms Corey. 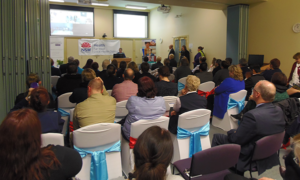 All the finalists will be entered into the NSW Health Awards to be held later this year. Phoenix Project Award was won by ‘Re-Designing Mental Health Care’. Vanessa Smith, Manager BH Community Mental Health Drug and Alcohol, accepted the award presented by FWLHD A/CE Stephen Rodwell. Ninja Project Award was won by ‘Patient Hourly Rounding’, presented via video by Aravind Krishnamurthy, Yamirri Nharatji Coach for the LHD. 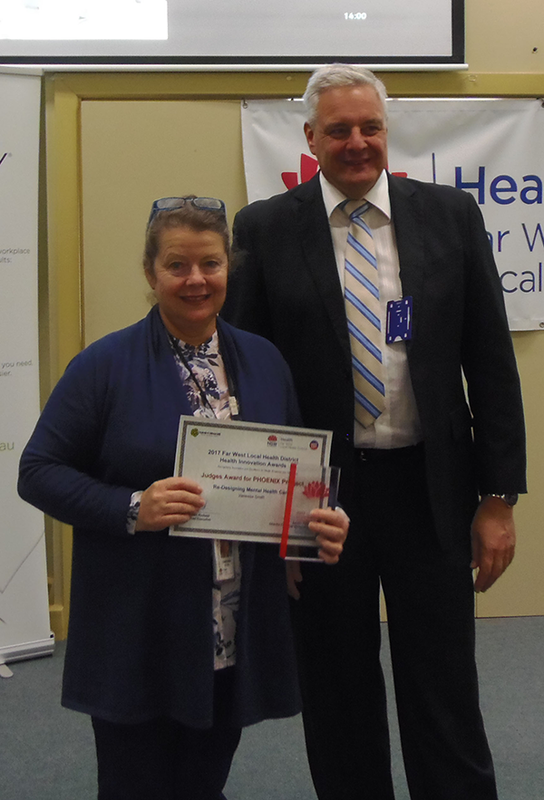 BH Hospital Director of Nursing, Lindy Harkness, accepted the award on behalf of Mr Krishnamurthy, from A/CE Stephen Rodwell. The People’s Choice Award was won by ‘Govies’ Retreat: Building resilience for rural home tutors. 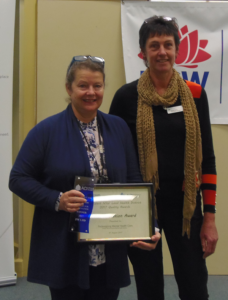 Marie Kelly, Rural Adversity Mental Health Program Coordinator, accepted the award presented by Zandra Corey, Director Clinical Governance, FWLHD. The Agency for Clinical Innovation Award was won by ‘Re-Designing Mental Health Care’. Vanessa Smith, Manager BH Community Mental Health Drug and Alcohol, accepted the award presented by Jenny Preece of the ACI.